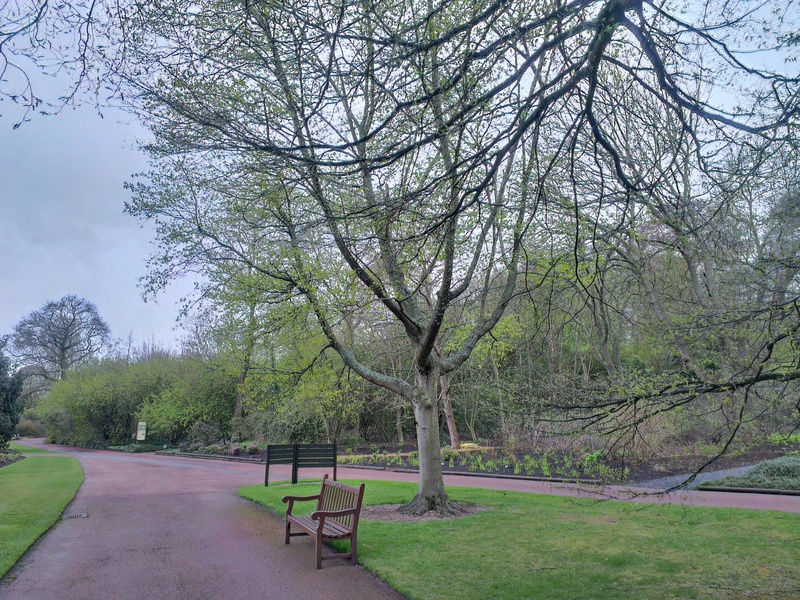 As part of my practice I have decided to do a Mindfulness walk in the botanics each weekday lunchtime. I have been doing it for a few weeks already and enjoy it very much and would like to share it with others. I’d like to invite anyone who wants to join me to come along and walk slowly, in mindful silence for twenty minutes. The problem is that some days I won’t be able to make it and I can’t say for certain when those days will be. Sometimes I will be on holiday, sometimes I will be ill and sometimes I will be called into a meeting at the last moment. But I don’t actually have to be there for you to walk in mindfulness and you don’t have to be there for me to walk. This is why it is experimental. Can we have an organically organised practice session? Whenever I can I will come to the tree in the picture at 1pm and then walk for twenty minutes before returning to work. If you want to come along then please do. I’m happy to give some guidance on mindful walking and to set the pace. Usually I do two steps a breath then go down to one step a breath. 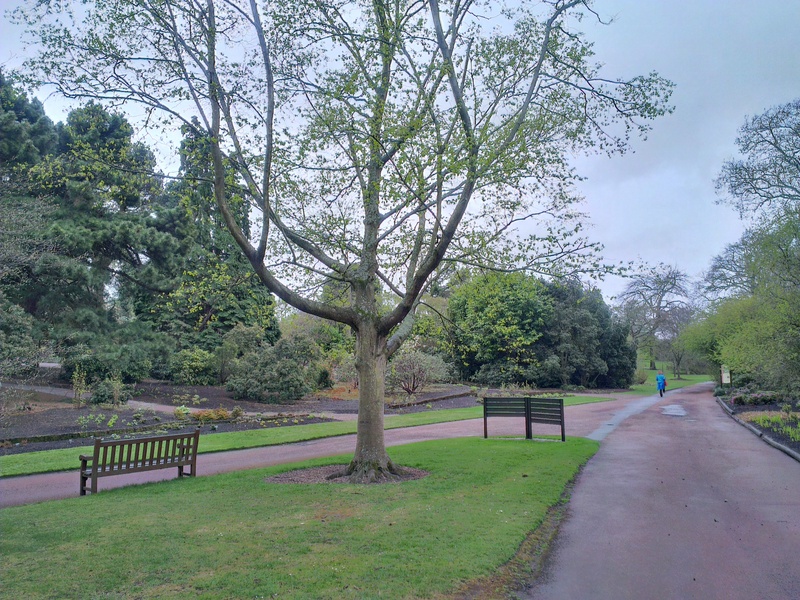 It is better on cloudy days as the gardens are quieter. Below is a map and some more picture to show where the tree is. I’ll maybe see you there. Wonderful idea Roger. It mat take a while for enough people to synchronise to gather but I have often wished we had more opportunities to do walking mindfully outdoors together. 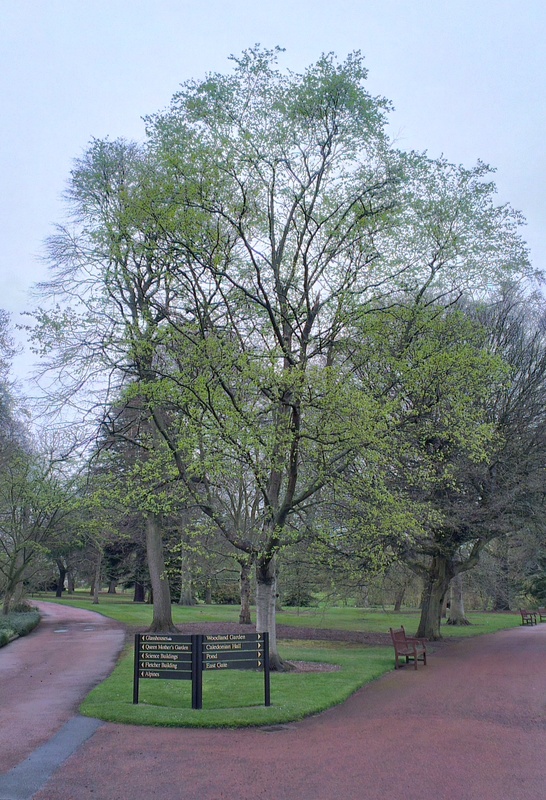 Hi Roger are the Botanics tree walks still ongoing? Am producing a map of sites dedicated to Peace in Edinburgh for the Peace and Justice Center and would like to include this if so.